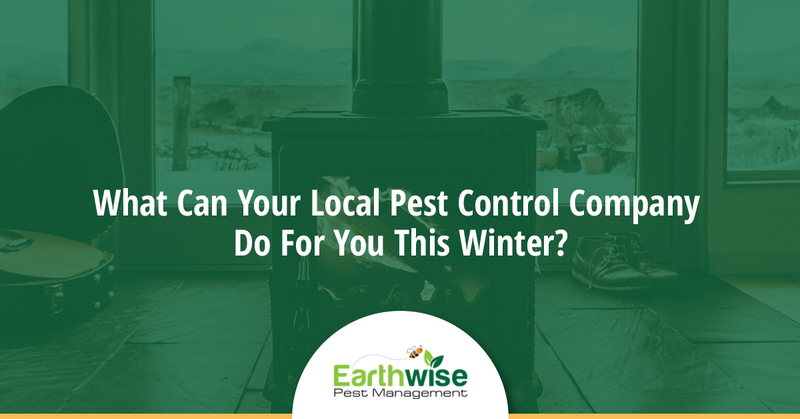 Pest Control Company Sacramento: How Can Earthwise Help You This Winter? What Can Your Local Pest Control Company Do For You This Winter? While winter may not be everyone’s favorite season, it is a great excuse to spend the majority of your time inside relaxing and staying warm. Humans are not the only ones who share this sentiment, however. Winter is the time of the year when pests retreat indoors as well, posing problems for you and your home or business. You may think that the cold weather would lend to all of the pests being killed off, but this is unfortunately not the case. If you want to know what your local pest management company can do for you this winter, continue reading below. Do You Know Where Pests Go During The Winter? For the most part, pests will do one of three things during the winter. They will either migrate, overwinter, or hibernate. Birds, as you probably already know, will migrate during the winter, flying south to warmer climates. When it comes to the majority of insects, they will go through a process known as “overwintering.” This involves creatures halting most of the activity that takes place in their nervous system during the colder months. This is often an issue because pests like to overwinter in a place that is not as cold like the attic of your home. Alternatively, pests like paper wasps and mosquitoes will hibernate during the winter months. Some will form a cocoon, while others will simply hide in a secluded space, remaining in a semi-sleep until the warm temperatures return. Lastly, rodents will simply hide inside wherever they can gain access. Cockroaches also fall into this category. This is why treating your home for pests during the winter is important, even if you think it’s not. Do You Know What Happens To Pests When It Begins To Get Warmer? Once the winter frost begins to thaw, pest wake up and they are beyond hungry. This leads them to return to the food source that is nearest to them. While we certainly would not wish this on you, there is a chance that your home could be that food source. If you find that there are pests in your home as soon as the weather begins to warm up, be sure to contact your local exterminator to solve the problem quickly. There are plenty of things you can do if you want to make sure that you are keeping pests out of your home during the winter months. Make sure that you keep an eye out for any cracks or holes that may be on the outside of your house or business. Additionally, you should make sure that you’re replacing any loose weather stripping or mortar that you find in your space as those are access points. You should also consider keeping any firewood you are storing away from your house as pests find this to be a very enticing hiding place. Overall, having a neat and clean home is the best way to prevent pests from running rampant. Additionally, if you find that you already have a pest issue, we can help you at Earthwise Pest Management. We have the expertise, knowledge and the dedication needed to take care of your pest problem in no time at all. Call us right now and get a free quote!